Your customers hear “estate planning,” “ROI,” and “compounding interest” and it’s like you’re speaking French when they are speaking English. If your wealth of financial services and knowledge is getting lost in translation, let us be your interpreter. Your job is to provide sound financial advice and assist your customers in building a secure future. Our job is to help you connect with your customers the way you've always wanted to. By aligning your brand with the services you provide, we can help you not only attract the ideal customer, but increase your overall customer base as well. Let us manage your brand while you manage their funds. Glen James from Fortify Financial shares his journey from Solopreneur to Award Winning Adviser and the role that MOVED played in it. Click to watch Glen share his journey from solopreneur to becoming one of Australia's Top Financial Advisers with a team of 6 people. Being a salesperson doesn’t come naturally to everyone. Arming your team of accountants and financial advisers with booklets that explain your services will help them to sell more services to clients. Here at Moved we design with your clients in mind, clearly identifying your core attributes and explaining your process. Unpacking your process in a visual diagram helps clients to understand your offering and take action. It’s a sure way to increase your revenue. Did you know that your industry is joked about as being as painful as going to the dentist! Clients feel like they need to get ‘financially organised’ before they come to see you and it’s not true! Stop talking about what you do and start talking about what you solve! We help by addressing what’s keeping them up at night. Let's solve your clients’ worries! We tailor the language on your website to be ‘approachable everyday language’. It’s about showing clients that you can help them get out of a financial mess, achieve their financial goals and have a worry-free future. Because you’ve put their mind at ease, you build trust and they become long-term clients who recommend you to all their friends. If your website isn’t mobile friendly, you’re about to join the dinosaurs! Great design creates an emotional response - the feeling that you're understood. Most designers can create a funky logo and colour scheme, but at Moved, we go beyond that. We align your brand to attract the ideal customer. Is your website responsive? Building trust with new leads? And attracting new clients? We can help! "Jason is more than a print, web, or social media guy. He builds brands, infusing them with the identity required to attract and retain the right customers for the right businesses. Jason’s ability to bring a brand to life marks him apart, and that’s the reason I have no hesitation in referring him to any client that is serious about building a business." "WOW, JUST WOW... I'm a control freak generally but this time I let it all go and gave my brand and corporate image to Jason. He has transformed my business and image into what I always wanted (or had in mind), but I couldn't execute this vision as I'm not a creative. I would recommend Jason to anyone who is actually serious about turning their business up a notch and giving every aspect of what your clients (from new client to existing) see, to Jason and his creativity." 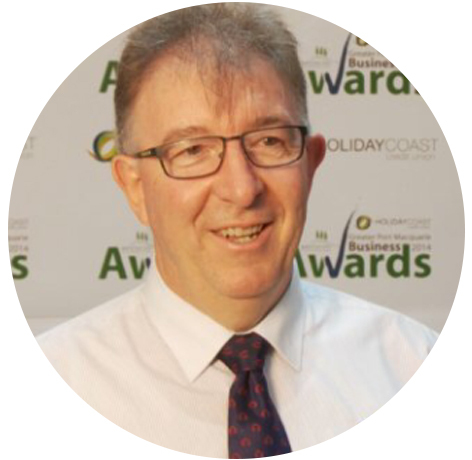 "Jason worked with Holiday Coast Credit Union to develop a complete and up-to-date Brand Style Guide which covered all elements of our brand including its personality and core deliverables in the creating the 'Holiday Coast difference'. Jason was excellent in his facilitation and production of the finished product."